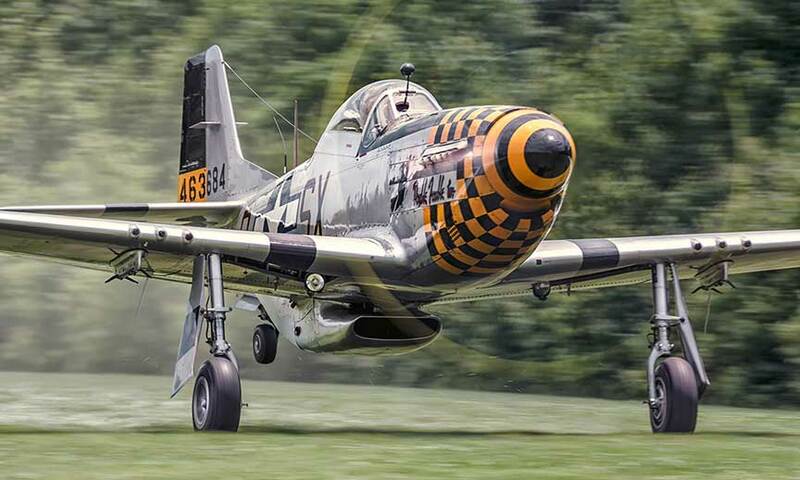 See the Military Aviation Museum’s collection of World War II aircraft inflight at the 2019 Warbirds Over the Beach Air Show! Join us the weekend of May 17-19th, for a trip back in time to the memorable days of the Second World War. wanted a bird’s eye view of Virginia Beach. Michael Kuhnert, Bay Aviation will be returning again this year providing plane rides during the air show in his 1943 Fairchild PT-19 Trainer. Yes! If you’re interested in volunteering for the airshow, please contact Mitchell Welch at events@aviationmuseum.us. If you’d like to join us as a regular volunteer, please contact Warren Curd at volcoord@aviationmuseum.us. May I fly into the museum with my own aircraft? Yes! If you’re interested in bringing your own aircraft during our airshow week, please contact our Museum Director at director@aviationmuseum.us. For more information about bringing your aircraft to the museum, please read our Visiting Aircraft Information. May I bring my RV? Yes, but we have very limited space. If you would like to bring your RV to the airshow, please contact Mitch Welch at events@aviationmuseum.us. Advanced ticket sales and reservation required.